Fabrege' anyone? The Ellis chair captures the essence of a French classic with an updated twist. 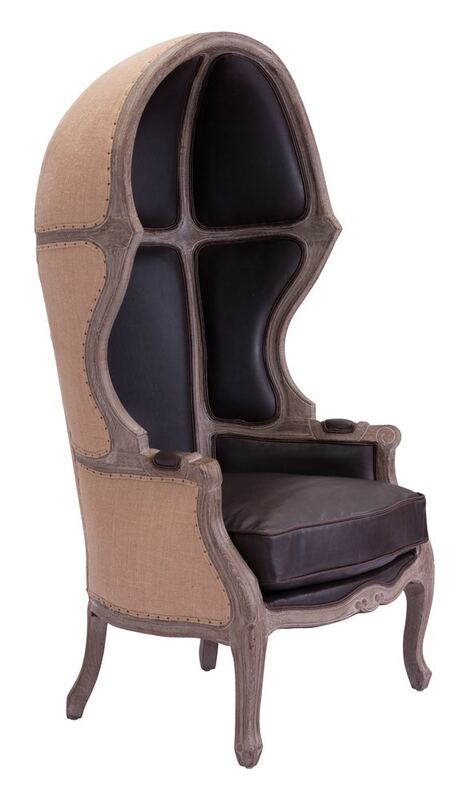 Waxed antique dark brown faux leather upholstrey covers the inside seat and back; while outside fabric is a true burlap fabric finished with French nail tacks. Unique carved oak wood frame has a antiqued finish.